As a European citizen, you automatically get to stay in Thailand for 30 days without a visa. When you arrive in Thailand you get a stamp in your passport that tells you how long you may stay in the country. 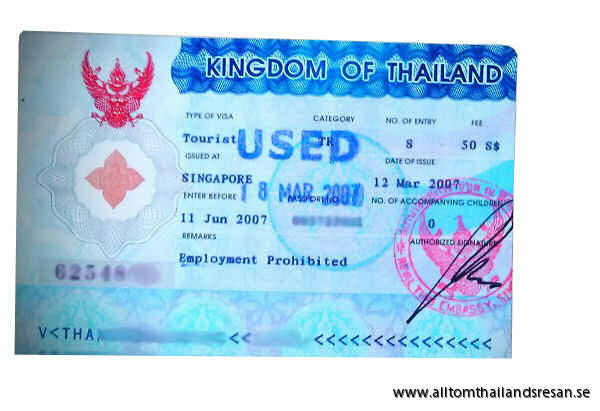 If you plan to stay longer than 30 days in Thailand you will need to apply for a tourist visa. You can apply for a Tourist visa in Sweden at the Thai embassy and the Thai Consulate before you go on your trip, or you can go to Cambodia. Always check what rules applies for your stay in Thailand, if you go without a visa for a long time staying, it may cause you unnecessarily many trips to the border, when you normally only get 14-day extension. If you apply for a visa at home before you go it will be much easier.